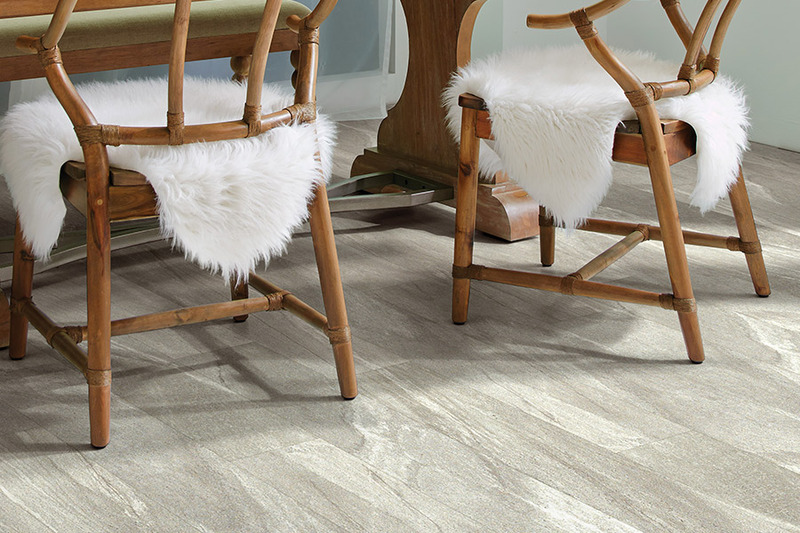 Luxury Vinyl Tile or LVT as it is called in the industry is durable, easy to clean vinyl flooring with the look of hardwood floors or tile floors. 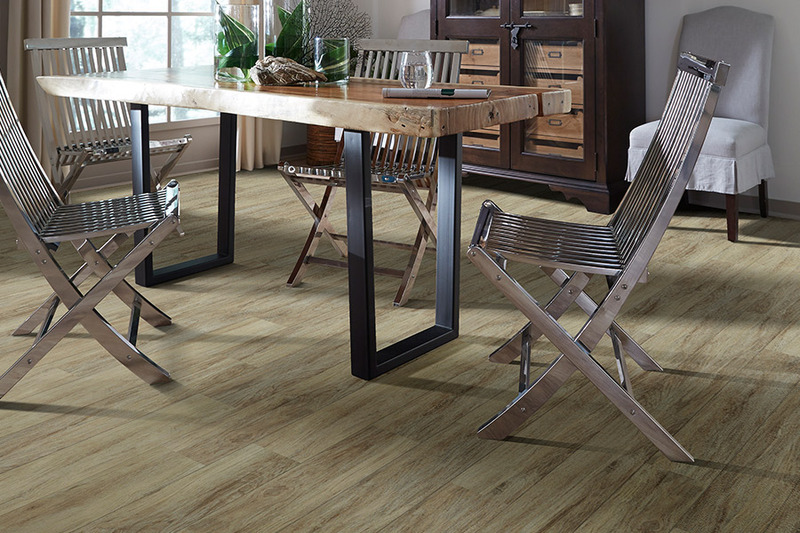 Luxury vinyl flooring is an excellent choice for homes as well as light commercial businesses. It offers style, durability and affordability. 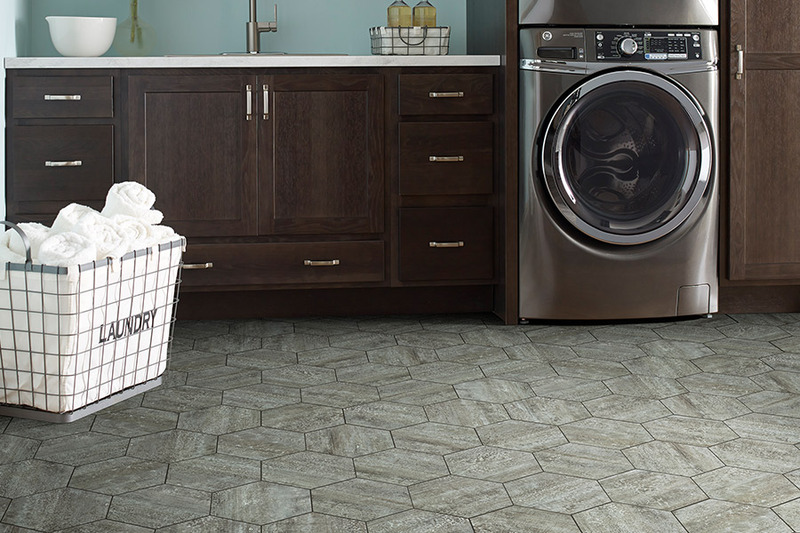 We carry a wide variety of colors and styles that you will have to touch to make you realize it’s not wood or tile.Today’s luxury vinyl tile has come a long way from vinyl floors of years past. 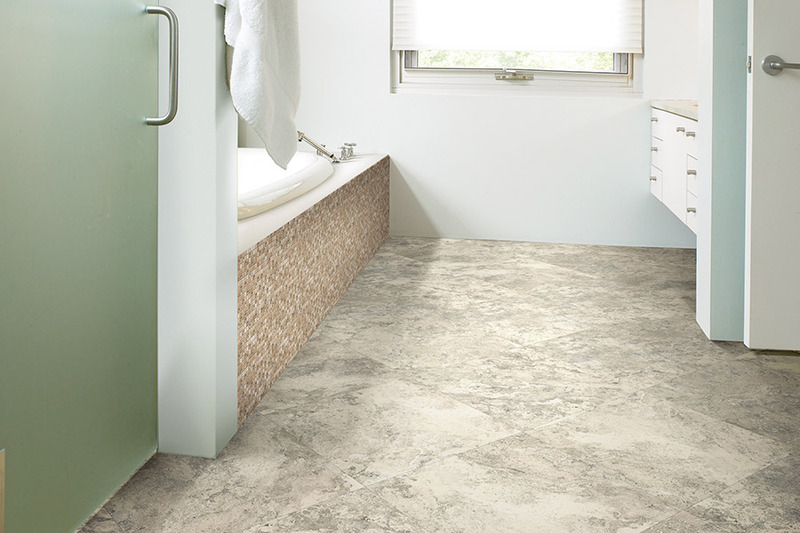 Luxury vinyl flooring is soft underfoot and essentially waterproof, so it’s a perfect choice for kitchens and bathrooms. It’s easy to clean, and keeps a constant temperature during the cold and hot months. Luxury vinyl tile flooring is beautiful, comfortable and quiet. Luxury vinyl flooring is resistant to the wear and tear from cats and dogs, as well as their accidents. 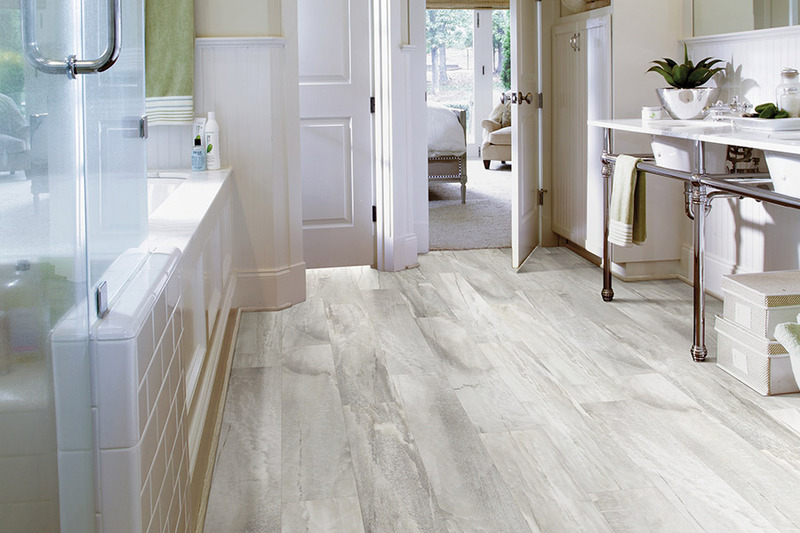 And cleaning is super easy, so luxury vinyl tile is durable enough for utility areas, bathrooms and even hallways. 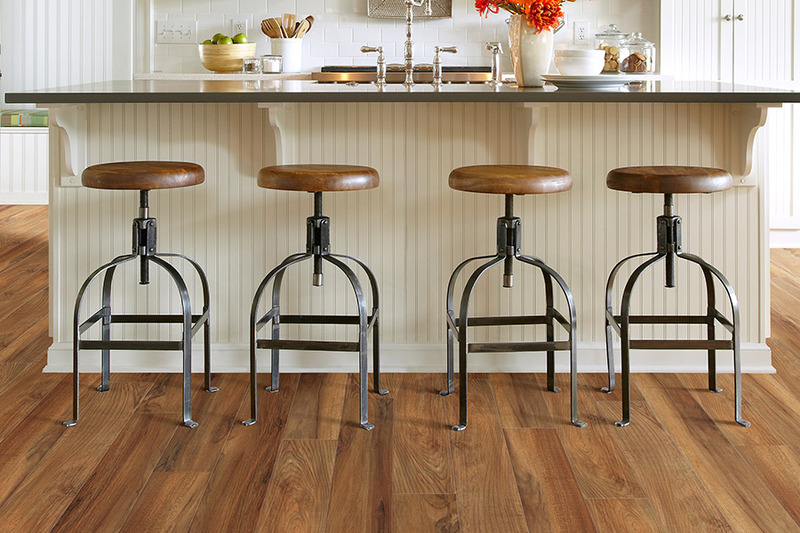 Luxury vinyl flooring can be installed over a variety of subfloor surfaces. Once it’s installed, luxury vinyl flooring is ready for foot traffic immediately and will maintain its tight, water-resistant fit. Our installers are factory certified, and we offer a lifetime labor guarantee, so you can be assured we will do it right the first time! So what are you waiting for? Contact us or come visit our showroom to see how luxury vinyl tile may just be the flooring solution you’ve been looking for!